We’ve always heard a lot of products claim that they can get rid of dark circles, but we also heard something that no eye cream can actually get rid of dark circles. Yet, we still search for the solution to get rid our dark circles. There’s nothing more wonderful than finding a new eye cream that actually works! Dr Martin Rodbell is a microbiologist who has won the Nobel Peace Prize based on his development of signal technology, and he is the sole founder of Bioque. His development was originally meant to treat cancer by killing off extra and diseases cells, but now can also be used to reduce wrinkles as well as repair the skin through increasing the skin’s natural production of skin cells, peptides, collagen, and elastin. 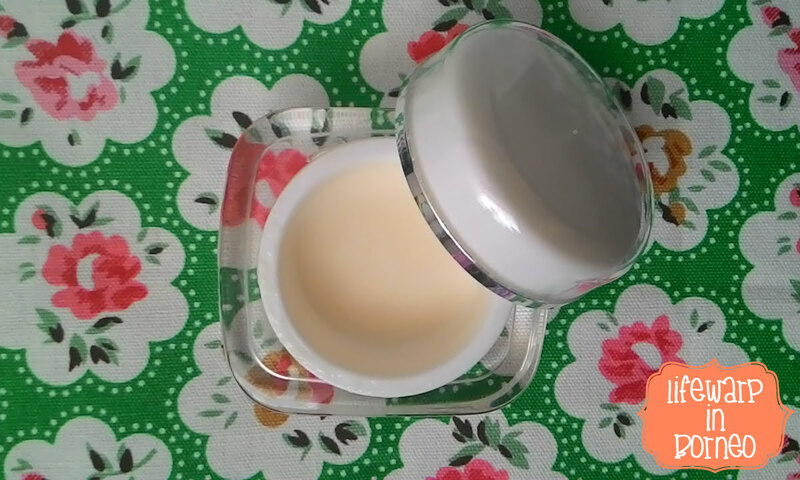 I received this luxurious cream which contains Vitamin A, C, E, and Kombuchka. Kombuchka, or “long life fungus”, is a well known beverage in Russia and China that is believed to extend longevity. It’s believed to improve skin radiance, decreases roughness, increases brightness as well as luster and color, and is all around a natural and non-invasive way to achieve radiant youthful skin. Eye Restore not only packs powerful ingredients that corrects the main concerns around the eye area (crow’s-feet, sagging), but also helps reduce the amount of exposure to free radicals and collagen breakdown. Added rare White Truffles and Kombuchka invigorate, tone, and smooth the sensitive skin around the eye obtaining a non-invasive natural way of achieving radiant skin. Multi-peptides are suspending in this superb ingredient complex to pamper the sensitive skin and erase appearances of fine lines, wrinkles, and increase firmness. Dermatologist and Ophthalmologist approved. Suitable for contact lens wearers and those with sensitive eyes. Bioque’s Eye Restore is a luxurious restorative cream, designed to indulge your eyes. The powerful alliance of ingredients reduces the appearance of fine lines, puffiness, and dark circles, usually within a few days. Bioque Products are not tested on animals and contain no animal by-products. As with all Bioque Products, Eye Restore, contains no parabens. Kombuchka, called ‘Long-life fungus’ is well known as a beverage in Russia and China and believed to confer longevity. It improves skin radiance, decreases skin roughness and increases brightness, luster and color. This is a non-invasive, natural way to achieve radiant skin. Proper use: Cleanse the skin. Using ring finger and with very little pressure, gently pat and smooth (never rub) a small amount of Eye Restore over entire peri-optical skin area. Explanation: This opulent collaboration of superb ingredients is formulated to pamper the skin around the eyes as it erases fine lines from view, reduces wrinkle visibility, increases luminosity and clarity. The cream itself is smooth and entrancing; leaving your skin looking and feeling soft, bright and revitalized. For optimal use, apply to newly cleansed skin twice daily. Allow 8 minutes prior to applying other products. I have fallen in love with Kombuchka ever since I had my first Kombuchka tea. Any beauty products that has Kombuchka in it will always get my attention right away. Why? Because Kombuchka is amazing ‘elixir’ especially if you mixed it into other ingredients! I get my dark circles under my eyes due to lack of sleep as I still have to burn midnight oil as I’m busy with my Doctorate. Even though I may have time to get early sleep, the kids wouldn’t allow you to get as much sleep as you need. As I’m looking for an effective eye cream to combat my puffy, tired, and dark circles under my eyes, I found this Bioque Eye Restore which is developed with signal technology. The result? I find that it helps to diminish the appearance of wrinkles and fine lines, giving the appearance of more youthful skin. I’ve noticed that my eyes area look less tired, and tighter, too! The cream is very light, and it absorbs faster than other eye cream I’ve used previously. Just a tiny amount needed. I use my ring finger to gently pat the cream on to my eye lid and under eye area. The cream went smooth and felt weightless around the eyes after it set on the skin for about 3 minutes, and I must say that I’m very impressed with the result. I’ve been using Bioque Eye Restore for about 3 months now, applying it twice a day (day and night). I love this cream because hydration tends to last all day because the eyes area skin don’t produce their own moisture. Just for additional information, Bioque Skincare has been showcased in Elle magazine, Vogue, Shape, Gala, InStyle, Park Ave, and it’s quite famous right now. The effectiveness makes me excited to try this out. The best thing I like about this product is this small jar will last for a long time because I’ve been using it for 3 months now, and I still have half cream left in the jar. If you’re thinking of buying this great product, it’s best to purchase from Bioque site as all purchases from Bioque are covered by their 60-day 100% Money Back Guarantee!